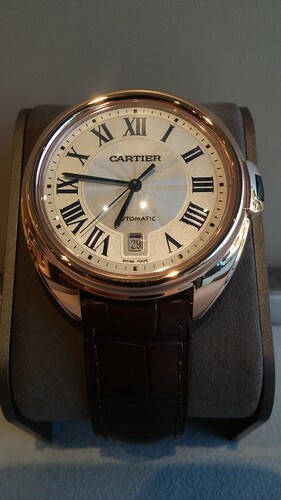 Cartier “Cle” 18 karat rose gold, 40mm, automatic movement. 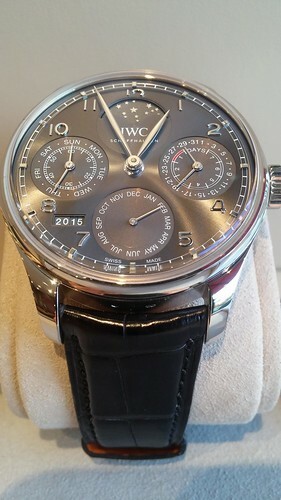 $18,800.00. Are you someone who truly understands and appreciates exquisite timepieces? The intricate detailing, the painstaking craftsmanship, and the perfect execution of creating a classic? 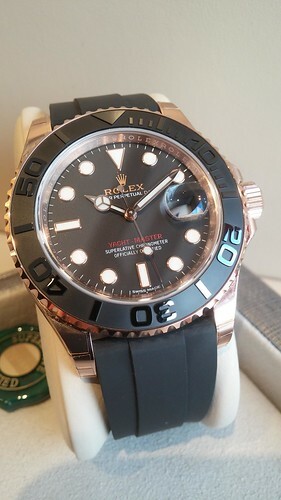 Then you need to know thatÂ the largely expanded Tiny Jewel BoxÂ has added many more elegant power watches to its inventory, a few of which we are showing on this post.Â In addition, the new Tiny Jewel Box digs has a watch repair / custom shop and is the only authorized Rolex repair shop in D.C. proper. In essence, it’s a one-stop boutique for the most discriminating watch collector be it a friend, family member, significant other, colleague, client or YOU. 1155 Connecticut Ave, NW | Washington, D.C.